One website that recently attracted our interest was the Detroit District U.S. Army Corp of Engineers (USACE) website which tracks historic Great Lakes water levels. Our interest was due, in part, to the concerns and discussions taking place in recent years surrounding the levels of Lakes Huron and Michigan. 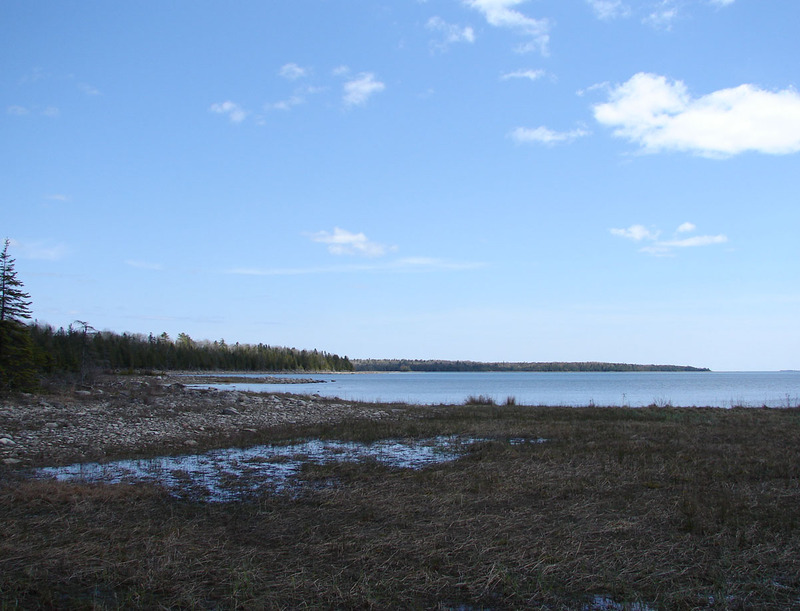 There is no place where the concern has likely been greater than in the Les Cheneaux Island area of the eastern upper peninsula. In the heart of this incredible string of islands is Marquette Island. For many years this island was the summer retreat for a young Aldo Leopold, the father of wildlife management and a significant contributor to the modern day conservation movement. Since many seasonal residents and vacation home owners in the Les Cheneaux Island area can only reach their island homes via watercraft, when the Great Lakes water levels began to more severely recede, many of these property owners were forced to modify or abandon their past means of dockage. From a fisheries standpoint, the countless miles of shoreline and bays which can be found in this area have historically been fertile spawning grounds for many species, but especially northern pike and perch. Not surprisingly, the 4.5 foot drop in Lake Huron elevation which has occurred since 1986 has dramatically changed the physiology of this area. While it appeared that the 2003 and 2008 near term low elevations had begun to reverse and once again trend higher, the USACE data indicate that the July, 2012 elevation of 577.5 feet is now only 1.0± foot higher than that of the 2008 low. Although we continue to hover within two feet of the Lake Huron/Michigan historic mean elevation, it would be good to see a reverse in this 26-year trend line. As far as Aldo goes, we can only speculate as to what his reaction would have been to the newly approved State legislation (SB-1052 a.k.a. Beach Grooming Bill) which expands the level of shoreline modification which can now be legally conducted under permit by property owners. It is our suspicion that he would have likely been spending a portion of his summer conducting area landowner workshops in an effort to explain not only what can and cannot now legally be done in these areas, but also explain what should and should not be done for the good of these natural systems.